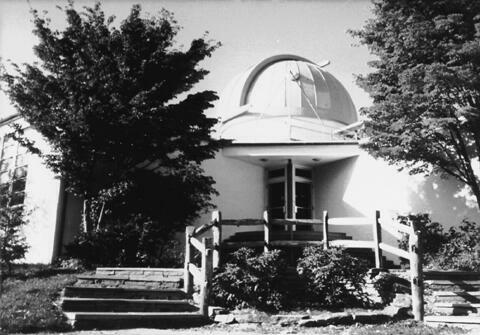 Home | History / Background | The New Observatory | Research | Photo Album | Who Am I? I am born. (Oh, that's another story, isn't it.) I was born in Chicago, and after my undergraduate years in Champaign-Urbana, IL, I never went back to Chicago to live. I have lived in St. Louis (two different times), Charlottesville (VA), Rochester (NY), Newark (DE), for 38 years in Washington, DC, and since 2017 in central New York, near the village of Virgil. 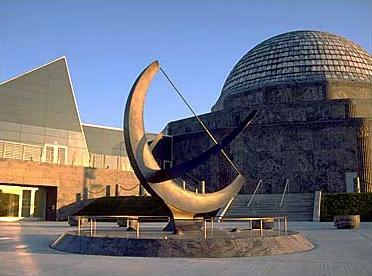 During my growing up years I spent many weekend days at the Adler Planetarium. My first telescope was a GOTO (the brand, not a "go to") 2-inch refractor on a rickety tripod. Soon after, I got a 4¼-inch Newtonian (on a rickety tripod) from an Edmund Scientific surplus store not more than five miles from my home (we're talking the '50s here). Although these telescopes are gone, I still have the eyepieces I used with them. Those carefree days inspired me quite naturally to a career in astronomy. Suburban Chicago skies were pretty dark then, too. With an undergraduate degree in astronomy from Illinois, I did my Ph.D. work at U. Va. in the late 60's, studying occultations of stars by the moon -- mainly to understand astrophysical things but also to discover double stars. Along the way I got a Master's degree studying peculiar magnetic A stars (particularly 73 Dra) with spectroscopy and Balmer-line photometry. My Ph.D. advisor was H. John Wood. Thirty years later, John lived in Washington, worked at NASA Goddard Space Flight Center on the James Webb Space Telescope project, and had recently retired. He passed away in 2014. One of my grad school compatriots was Dr. Paul Knappenberger, who recently retired as the Director of the Adler Planetarium. It's a small world. I worked as a professional astronomer at the University of Rochester from 1973 to 1978, and before that at the University of Delaware (1970-1973). I've spent many nights (both warm and cold) at the Mt. 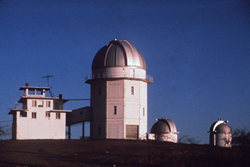 Cuba Observatory, the C. E. K. Mees Observatory, and on several occasions during the '60s and '70s at Kitt Peak National Observatory. Following my departure from an academic career, I worked at and finally retired from the Defense Mapping Agency, now known as the National Geospatial-Intelligence Agency. For five years before I retired in 2001, one of my main responsibilities was to manage the Agency's academic research grant program. I supported the same agency in a different role, in a third career, as a senior principal staff engineer employed by the MITRE Corporation. In another small-world coincidence, my boss when I first started at MITRE was an undergraduate classmate of mine at Illinois. In 2015, I fully retired and have a comfortable life enjoying my backyard observatory. Although I left the discipline formally in 1978, I never left behind my love of astronomy. Now I live in Virgil NY, away from city lights. I have a 12-inch Schmidt-Cassegrain telescope (permanently mounted on a sturdy pier!) in a new observatory, with a CCD camera and a webcam, and I use ACP Observatory Control, FocusMax, MaxIm DL/CCD, Starry Night, PEMPro and other software with it. I get great pleasure out of what I am able to do in this environment. I still carry my American Astronomical Society membership, although I haven't done publishable professional work or attended their meetings for many decades. 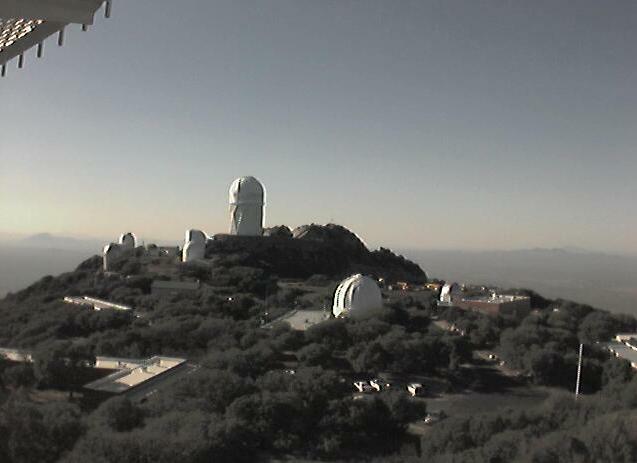 Now I'm developing some variable and cataclysmic star observing programs, and other yet to be defined programs based on CCD photometry from my observatory. These could include monitoring asteroids and near-Earth asteroids, exoplanet transits, and minor-planet occultations of background stars using drift-scan photometry. Eighteenth magnitude is easy with a 30-second exposure, and 19th is discernable, even on the less than perfect nights. Thus there are lots of opportunities for contributions to the science. As a result of where I've placed my telescope, I have an unobstructed view of about 90% of the sky, from north all around the compass back to north. In the summer of 2017, after 38 years in DC, we moved to rural central New York, 17 miles east of Ithaca. This is a real retirement, away from the bustle in the city, to a 60 acre farm with much darker skies, a spectacular view of the sky, no street lights, and a new observatory, too. are trademarked, registered or copyrighted by their respective companies.